The best-kept secret when it comes to home design is that there are ways to make things look expensive without actually having to spend too much money. If you want to fall asleep every night and wake up every morning in a space that makes you feel pampered and proud, try these eight budget decor tricks for creating your own magazine-worthy, impressive bedroom. OK, so it’s no surprise, but bringing in some greenery is the very cheapest way to add instant class to your bedroom. Make sure not to overdo it; a potted plant or two should be quite enough to dress up your space. For a cottage-fresh touch, add a bright vase of flowers to your nightstand. 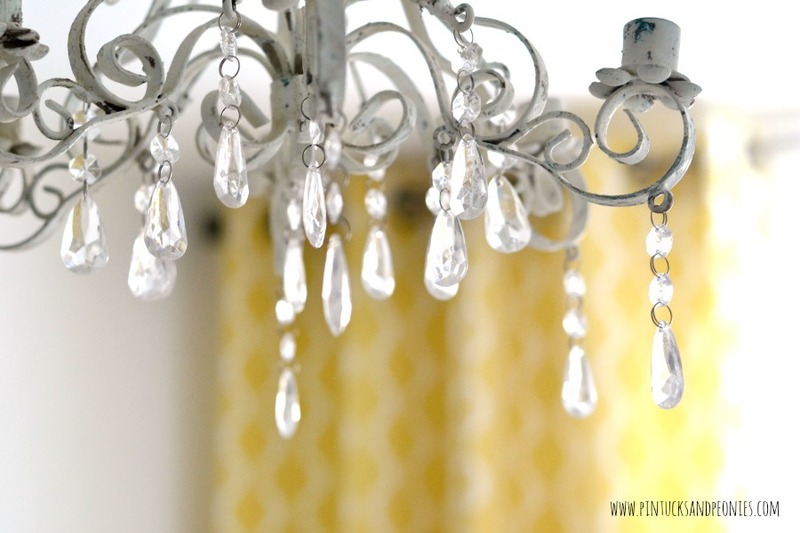 Use old jewelry to add some interest to your furniture by creating custom hardware. This may be a small touch, but unique hardware goes a long way in your bedroom design, and with this DIY it’s totally free. Choose pieces with bold colors or details to draw the eye. A simple palette, like white and black or white and gray, will give you more freedom when bringing in details and accents, and will immediately create the illusion of a tidy, put-together space. Even in a small bedroom, this color combo will create bold contrast and lines, and make your decor pop. 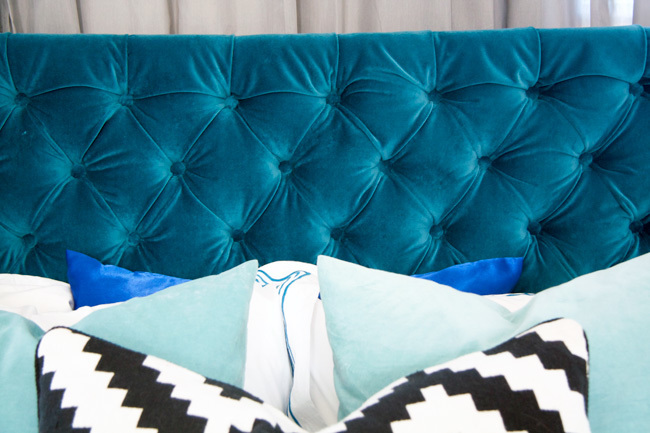 This easy decor idea works like magic for both beds and sofas. Use a soft mountain of throw pillows to add contrast and colorful highlights, without sacrificing space or comfort. While a bold-patterned coverlet or throw might overwhelm the eye, throw pillows give you just enough space to play with colors and mix patterns easily. There’s no question that a stately headboard will instantly frame your bedroom, but shopping for one can put a serious dent in your wallet. 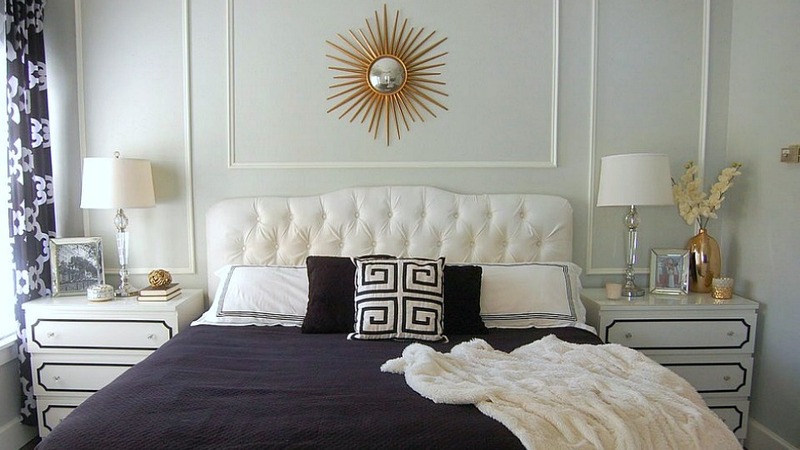 Save money by DIYing your own glamorous headboard, with an easy-to-follow tutorial that will help you create the expensive-looking bedroom accent your space needs. 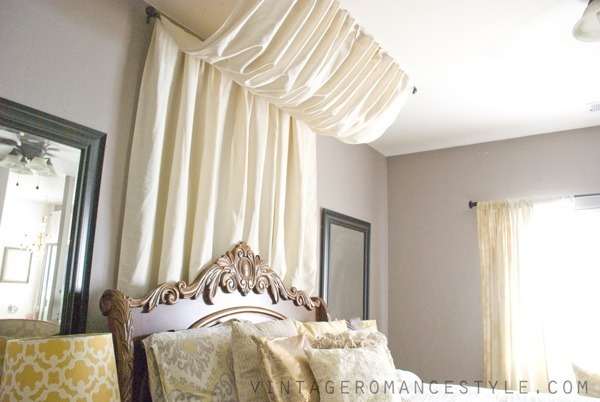 Though this might sound a bit excessive, a lovely draped canopy can turn a boring bedroom into a chic hotel suite. Achieve this dramatic bedroom upgrade using a simple, low-cost DIY, so that your bedroom only looks like a million bucks. Don’t underestimate the effect that your boring light fixture is having on your bedroom. For an instant and inexpensive fix, upgrade your underwhelming lighting with an eye-catching alternative, like an interesting pendant light or an elegant chandelier. If you’re trying to give your bedroom a high-end facelift, make sure your smaller decor and details aren’t working against you. 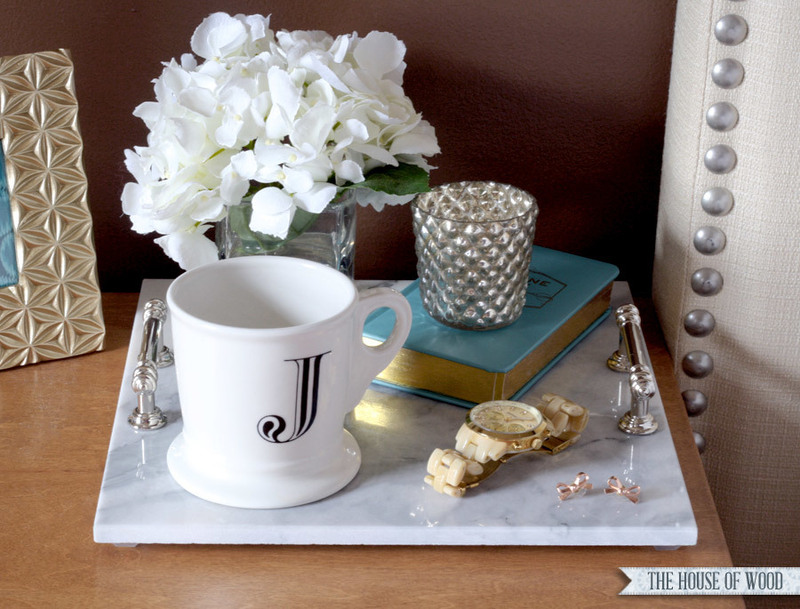 Create a classy marble tray to display your belongings on your vanity, desk or nightstand. For more bedroom decor inspirations and how-tos, take a look at our bedroom ideas page on Hometalk!